With utmost excitement, I am pleased to accept the post as Discipline Coordinator for the AMGA SPI Program. The program has enjoyed some unprecedented successes since it’s inception in 2008, and that is a credit to the excellent students, instructors, providers, and trainers. My fervent hope is that everyone out there is still as invested as I am. 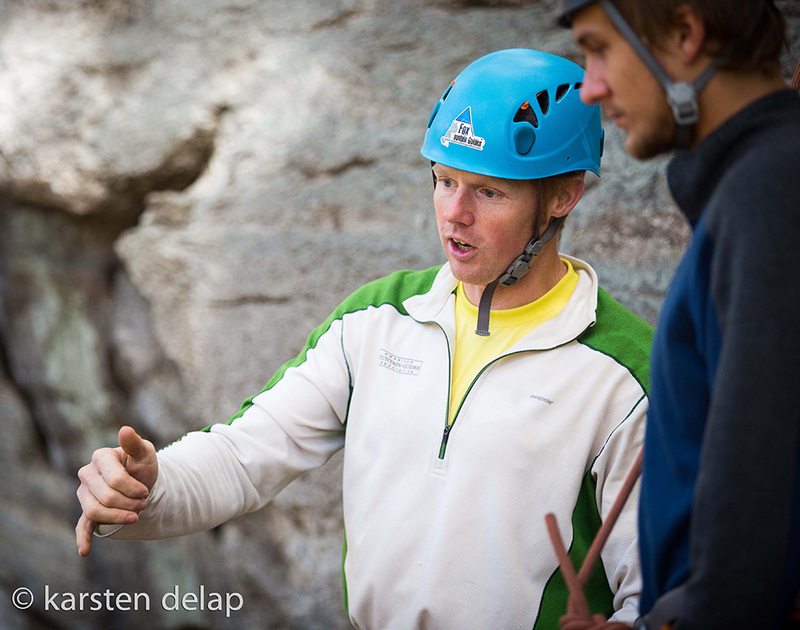 The front lines of American climbing instruction have always been the single pitch crags, and single pitch instruction is the face of our guides association. That was true in 2003, when I took the AMGA Top Rope Site Manager Course from Adam Fox and Jim Taylor. It was true in 2008, when SPI was born, and it is true today as SPI providers around the country offer education and credentials to new instructors every week of the year. Deploying providers and trainers, standardizing curriculum and certification standards, updating textbooks and manuals, collaborating with our Technical Committee, and a thousand other tasks and inquiries and contributions in between, have been the labor of the SPI Discipline Coordinator. I learned a lot from watching Adam Fox bend his back to the common task. I hope I can use his example, and the inspiration that emanates from all those associated with the SPI program, to work tirelessly, collaborate, and affirm a strong standard. With a new manual brewing, new providers training, old providers refreshing, and hundreds of new single pitch instructors per year, I’m gonna’ hit the ground running, and I couldn’t be any more psyched.